I recently landed a job with three tour companies to explore the National Parks of the United States and capture footage in short travel videos. 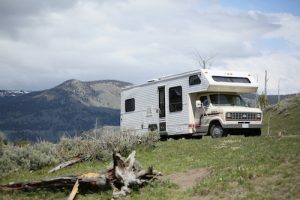 Knowing the road would become my home for the next three months, I bought an inexpensive RV (to save on accommodation costs) and set out on my journey driving south from Calgary into Montana. 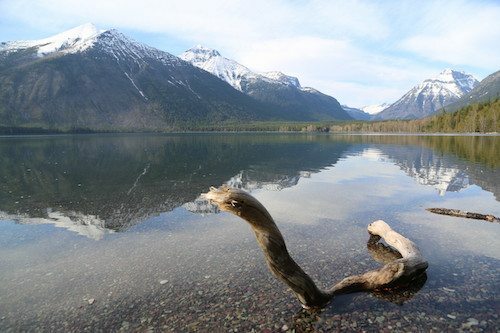 I love the big sky country of Montana—the snow-capped mountains, clear streams, and the abundance of wildlife. But most of all I love the open road, setting my car to cruise control and drifting down the highway to my first destination with hardly a car or human in sight. Before sunset, I like to find a beautiful spot to camp and make sure I’m prepared for the next day—meaning I’ve charged the batteries for the drone, my electronically stabilized steadycam, and the DSLR camera. I also make sure that all my SD cards are empty and ready to go. I check out the weather for the next day and plan my itinerary. If the next day looks to be very sunny—turning to cloudy the following few days—then I try to film as many of the highlights in a National Park as possible by driving from location to location, shooting most of the scenery and panoramas in beautiful sunlight, which is, of course, what tourists like to see. If, on the other hand, it’s cloudy then I usually chose a scenic and interesting hike, since hiking under clouds still looks great on video. Glacier National Park was my first destination, and, as it turned out, it was going to be sunny and beautiful. The scenery was absolutely stunning with snow-covered mountains and glaciers, pine-forested valleys, and rocky streams ending up emerald green lakes. I saw moose, elk, and marmots along the roads and short hiking trails by the edge of the lakes. In the evening, I relaxed at my campsite with a view of the river and a glass of wine, reviewing my shots and planning for the day ahead. Some nights, I would even start a fire and roast marshmallows while a bluetooth speaker played my favorite songs. 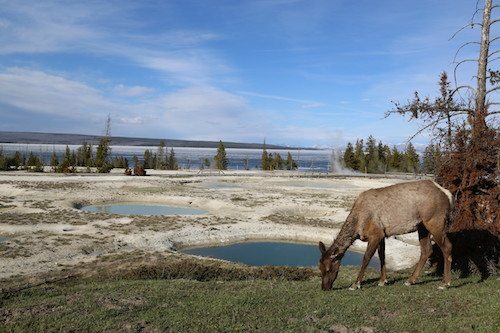 After several days exploring Glacier National Park, I headed south toward Yellowstone to explore the marvelous geysers, colorful canyons, and abundant wildlife both on foot and by car. The colors of the geysers were simply stunning as were the moose, bison, wolves, grizzlies, and black bears. The days were long and filled with so many impressions and visuals that it was hard to keep track of how much footage I shot. I ended up with over two hours of footage from Yellowstone National Park alone and another hour from the adjoining Grand Teton National Park. On days with less desirable weather, I would go hiking or explore the visitor center, local museums, or galleries. The Buffalo Bill Museum in Cody, Wyoming is well worth a visit—as is the Wildlife Art Museum on the way to Jackson Hole, Wyoming. I enjoyed cloudy and rainy days as much as sunny days, since they gave me some downtime to catch up with chores like copying my footage from my SD cards to a hard-drive and then creating a safety copy—just in case the hard-drive broke or got lost. Once in a major city like Helena, I usually indulged in going to a movie, eating out, and shopping. I love road-tripping with a purpose and getting paid to do what I love–exploring nature, wildlife, culture, and going hiking. It’s an amazing lifestyle, and, after three months on the road, I equally look forward to being home again and following a routine while editing my material.